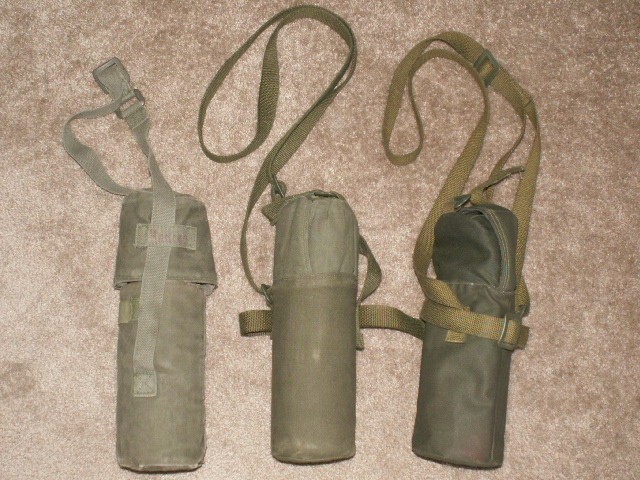 Just wondering if anyone knows how many variations of the thermos carrier were made? I'm throwing out a wild guess on what I have pictured here...from right to left...64 pattern, late 64/early 82 pattern, and the easily recognizable 82 pattern. 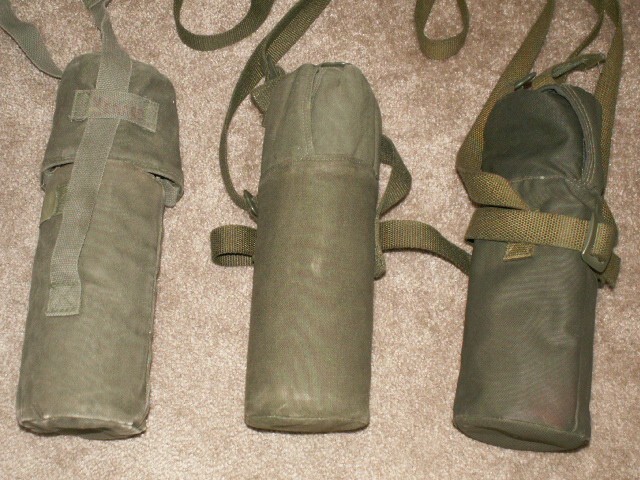 The middle one is the same construction as the 82 pattern but made of the earlier OD cotton material. 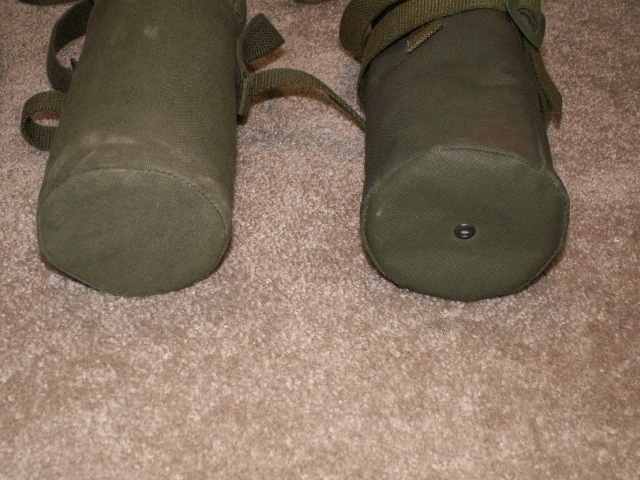 It is also missing the eyelet that the 82 pattern carrier has. Yep, it gets to be too much at times. I always forget what I have...I find new/old stuff everyday around here. Say, did you manage to find a better P51 belt yet? I found a few better ones since the last time we chatted. I've spotted a few at a surplus store 'round here but they're not all that pretty and not worth the price tag, I haven't been scrounging around as of these last few months due to lack of funds but hopefully come summer time I'll be back in the game again, you get any more interesting pieces? I did find a haversack that wasn't blancoed to death like all the rest I see for sale, and a couple compass pouches. That's about it for new and interesting for P51. Did find a few more belts and canteens. I finally found a nice complete P64 set...and got a pile of unissued P82 from Infanteer. More webbing than you can shake a stick at here.